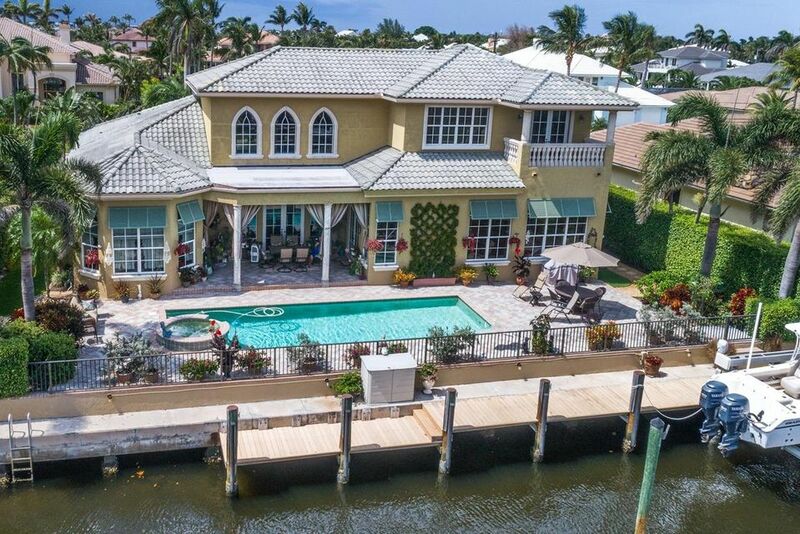 For some, the image and dream of living in a small, safe, friendly community is very much alive and well and takes place daily in the Town of Ocean Ridge. This beautifully landscaped and diverse seaside community was built with family and civic pride in mind almost 80-years ago. Today with about 1700 permanent residents plus an estimated 1000 seasonal inhabitants, Ocean Ridge remains a low-key, low-density, highly desirable town in which to live. Ocean Ridge is approximately 3-miles long and bordered by the Intracoastal Waterway on the east and the Atlantic Ocean to the west. The feel of the town is reminiscent of a time not long ago when neighbors knew each other and felt as if they belonged to a closely-knit community – this is Ocean Ridge today. From the town government with its 26-employees to the wonderful K-8 private Gulf Stream School, fine restaurants and the excitement of world famous Atlantic Avenue, to the nearby upscale Town Center mall in neighboring Boca Raton – Ocean Ridge is truly a “home” town. Add to these benefits the advantages of the Boynton Inlet with its ocean access for boaters and beaches within walking distance from anywhere in town, and you begin to understand why living in exclusive Ocean Ridge is considered by its residents to be exceptional. Find your dream home and the perfect lifestyle as a resident of the Town of Ocean Ridge. It may be one of the best decisions you’ll ever make. The Corcoran Group is a licensed real estate broker. Owned and operated by NRT LLC. This website is not the official website of The Corcoran Group or its affiliated companies, and neither The Corcoran Group nor its affiliated companies in any way warrant the accuracy of any information contained herein. Any product and/or services offered for sale on this website shall not be considered an offer to sell such goods and/or services in any state other than Florida.